8/8/11 Update: Giveaway have ended and winners have been chosen. Check your emails and Facebook friend requests to see if you have won. I had a hard time picking the winners as I had not realised that if the giveaway was not tipped, all the unique IDs was refunded back. Not as many winners as I had wanted to give out due to the disappointing participation from you guys :p Guess not everyone likes free money. Weirdddd, give me free $$ anyday! And yes, this is TRUE. I will be personally depositing the money to the Paypal account of the winnersssss. This idea was conceived from a dream I had all along - I had always wanted to give out Playfish Cash, but those who do not play Playfish games will say that I am unfair. So the best way is to give out cash to your paypal and you can use it to purchase Facebook credits for any games on Facebook. There will only be selected winners. The more people who wants to win some easy cash, the higher the number of winners. I am organizing this contest at this website [FreeLeh] where you can simply connect via Facebook and simple click WIN! to stand a chance at winning some cash. 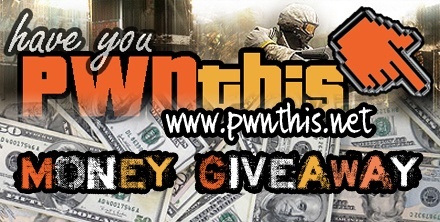 Winners will be notified and paypal details will be obtained. The money will be sent to your paypal account and you can basically use it for your favourite Facebook games! I hope to be able to give out as much as I can, so remember, the more people who participates, the more money I will give out! Have fun!